Q&A: After marathon talks between the US envoy and the Taliban, is Afghan peace at hand? ISLAMABAD — The longest direct talks ever held between the United States and the Taliban concluded this week with both sides citing progress toward ending the 17-year war in Afghanistan, but many questions remain unanswered. The Taliban are negotiating from a position of strength: They effectively control half the country, and President Donald Trump has made clear he is frustrated with America's longest war and determined to bring the troops home. The two sides have reached a draft agreement on the withdrawal of U.S. troops — a longtime Taliban demand — and the insurgents have rebuffed U.S. efforts to get them to negotiate with the Kabul government. U.S. envoy Zalmay Khalilzad can claim some success. The Taliban have said they will prevent Afghanistan from being used as a base for launching terror attacks, as it was prior to 9/11. But the insurgents have provided no specifics on what that would entail, and it remains unclear whether they are willing or able to confront other militant groups, some of which are longtime allies. The marathon talks extended for 13 days and saw Khalilzad meet face-to-face with Mullah Abdul Ghani Baradar, a co-founder of the Taliban and veteran battlefield commander. That alone marks a major change after three successive U.S. administrations — including Trump's — rejected direct talks. 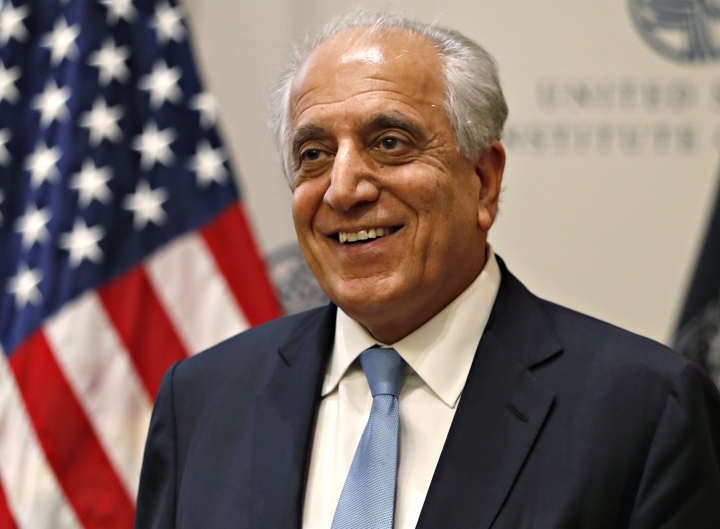 Khalilzad said they reached two "draft agreements" covering the withdrawal of U.S. troops and guarantees that Afghanistan would not revert to a haven for terrorists. But he was unable to persuade the Taliban to launch talks with the U.S.-backed government in Kabul, which the insurgents view as a corrupt and dysfunctional American puppet. 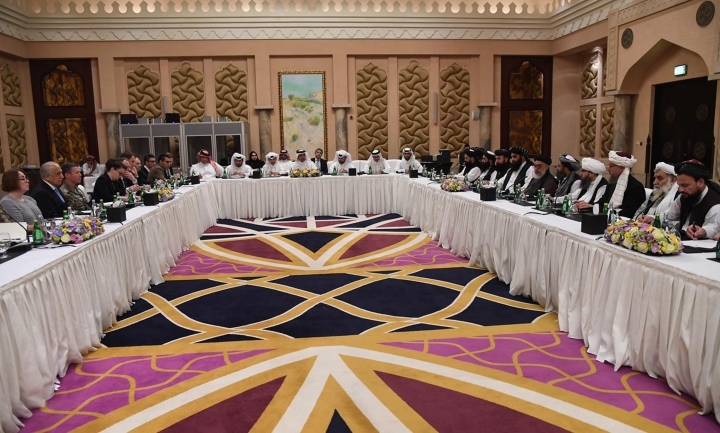 Instead, the Taliban agreed to meet with a wide array of prominent Afghan figures, including some government representatives. That would further undermine President Ashraf Ghani, who is increasingly being cast as part of a chorus of Afghan voices. The two sides seem to be in agreement about the withdrawal of American forces, but divided over the timeline and whether a residual force would remain. Taliban officials have told The Associated Press that the insurgents want a full withdrawal within three to five months, but that U.S. officials say it will take 18 months to two years. The Americans are likely to insist on a residual U.S. force to guard the American embassy and other diplomatic facilities, and may press for a counterterrorism force as well. Even if the Americans accept the Taliban's demands for a more rapid pullout, they could encounter logistical bottlenecks in withdrawing more than 10,000 American soldiers and heavy equipment from the central Asian country. WILL THE TALIBAN KEEP THE PEACE? Both sides have continued to battle it out even as they negotiate, and no cease-fire has been reached. 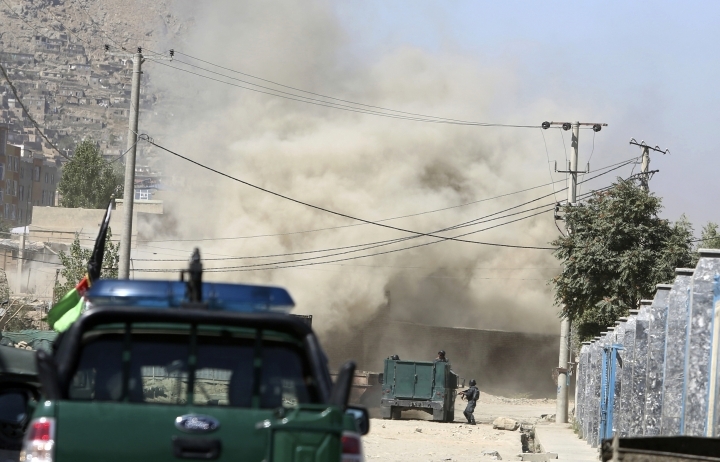 The highly-disciplined Taliban can be expected to halt their military operations once they agree to do so, but whether they can or will act against other militant groups is a thornier question. The Taliban have clashed repeatedly with an upstart Islamic State affiliate in recent years but have been unable to dislodge it from its strongholds in the eastern Nangarhar province. U.S. forces have had more success against IS, but air power has played a crucial role and may no longer be available after a withdrawal. Other militant groups, like al-Qaida and the Haqqani network, have longstanding ties to the Taliban and are still active in Afghanistan and neighboring Pakistan. Ayman al-Zawahri, who succeeded Osama bin Laden as the leader of al-Qaida after he was killed in a U.S. raid in Pakistan in 2011, is believed to be in hiding in the region, and still counts hundreds or perhaps thousands of followers in the two countries. The Taliban might be able to convince such groups to lie low, but are unlikely to wage a Western-style counterterrorism campaign against them. And if an attack on Western interests were traced back to the region, the Taliban could evade responsibility by saying it came from the Pakistani side of the porous, mountainous border. The U.S. has spent 17 years and tens of billions of dollars propping up the government in Kabul, and Ghani himself owes his office to then-Secretary of State John Kerry, who negotiated a power-sharing arrangement after the 2014 election was marred by allegations of massive fraud. But in recent months, the U.S. envoy has acquiesced to Taliban demands to keep the government on the sidelines. 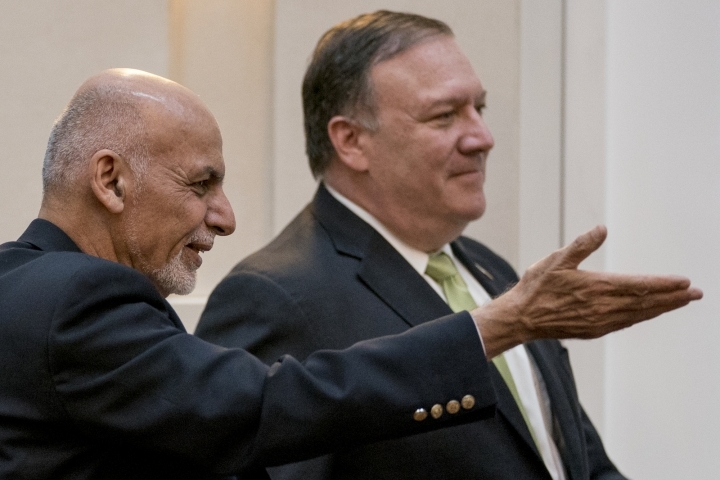 The Americans say they are working closely with the Afghan government and favor an Afghan-led process, but Ghani has yet to secure a seat at the table. Khalilzad said an Afghan dialogue will be held but there were no promises of a leading role for Ghani. 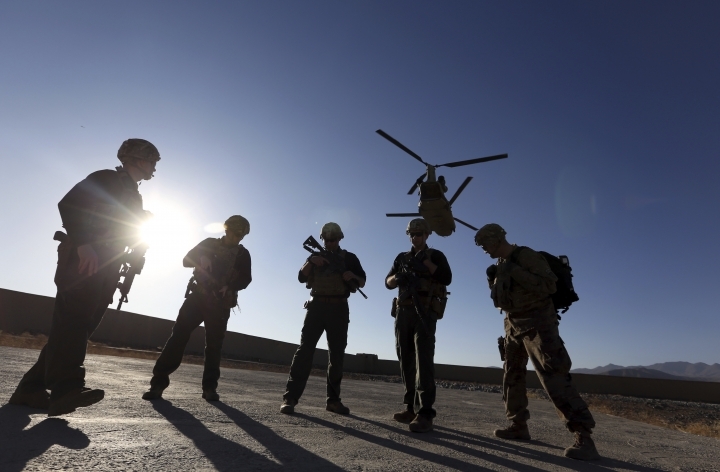 It remains unclear whether the government would survive in its present form without extensive aid from the U.S. and NATO, which have provided crucial air support during major battles with the Taliban. There are also numerous heavily armed factions within the government that could fight among themselves, as they did in the early 1990s. After years of poor governance and widespread corruption, many Afghans might be happy to see the government go. WHAT DOES THIS MEAN FOR AFGHAN WOMEN? During the Taliban's ultra-conservative rule in the 1990s, women were largely confined to their homes and girls had no access to education. Women secured gains after the U.S.-led invasion, but those were largely confined to upper-class bastions in major cities, while in the countryside women and girls must still abide by the country's conservative cultural values. The Taliban have moderated their tone in recent years, saying they are no longer opposed to women working and girls attending school. 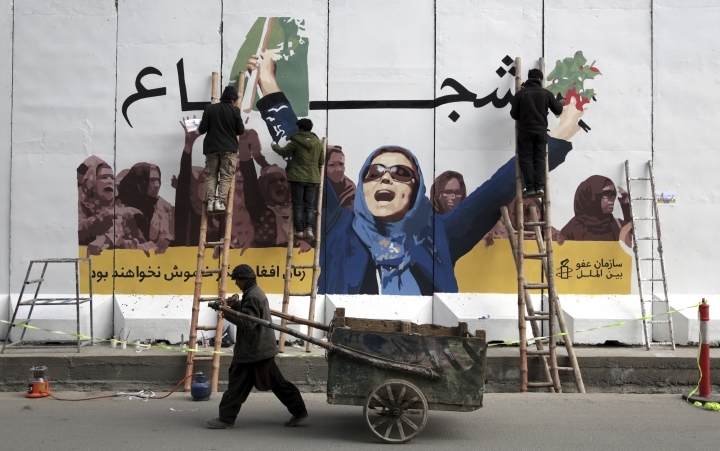 The U.S. has said it is up to the Afghans to determine how their country is governed.